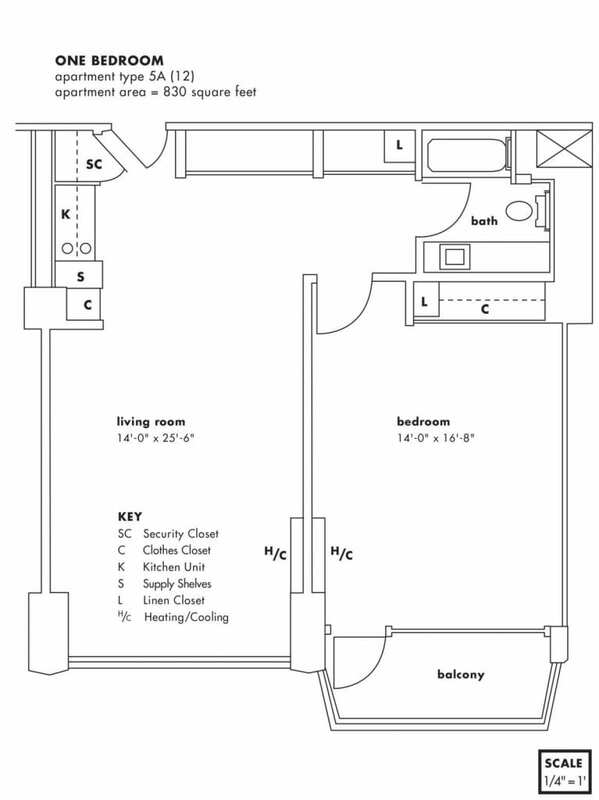 For maximum privacy and convenience, our cozy studio apartment includes a full bathroom, full kitchen and many have balconies off of the main living area. 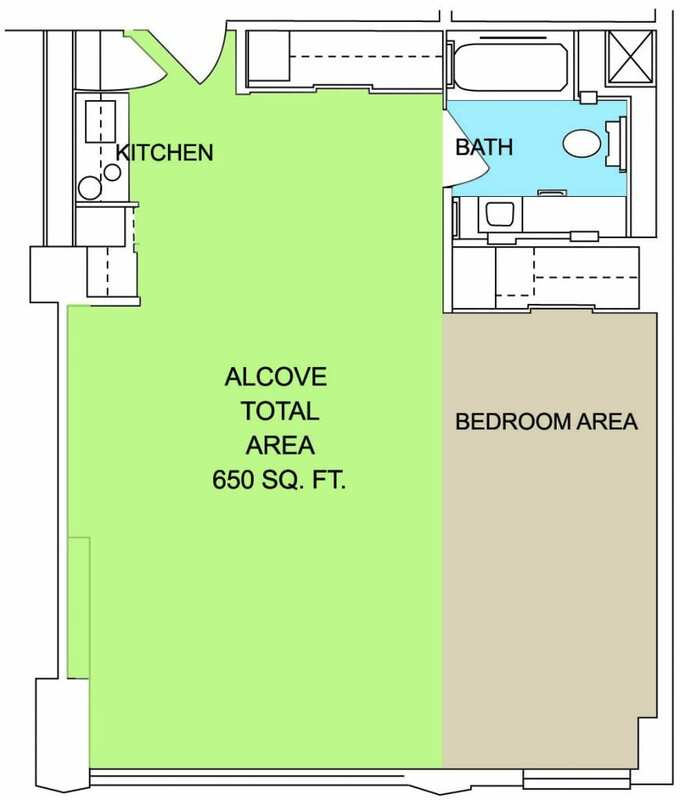 Our alcove floor plan provides convenience and flexibility, with a full bathroom, full kitchen and an additional space to be used as a private sleeping area. 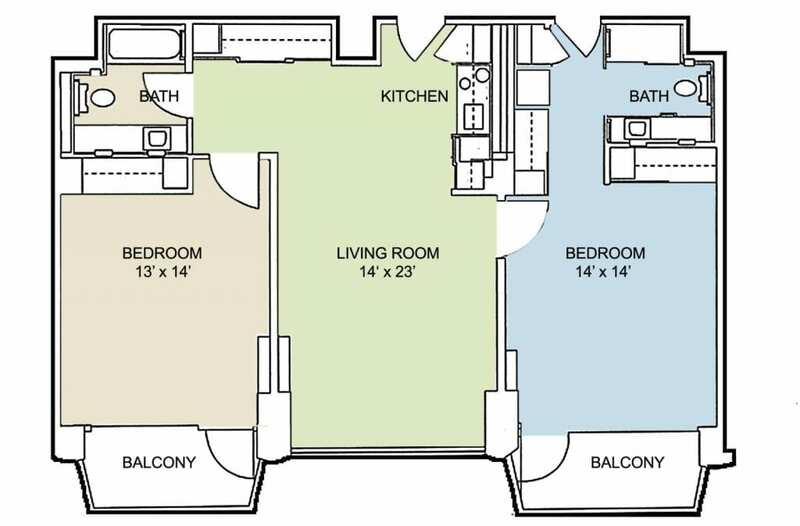 For those seeking a more manageable living space with all the comfort of a standard one bedroom, the junior one bedroom floor plan offers a separate living room, full kitchen and full bathroom. 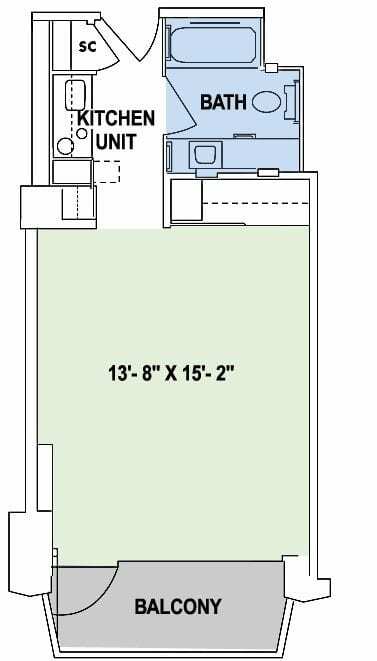 Our one bedroom apartment includes a separate living area, full bathroom and kitchen, and a private balcony off the bedroom in many plans. 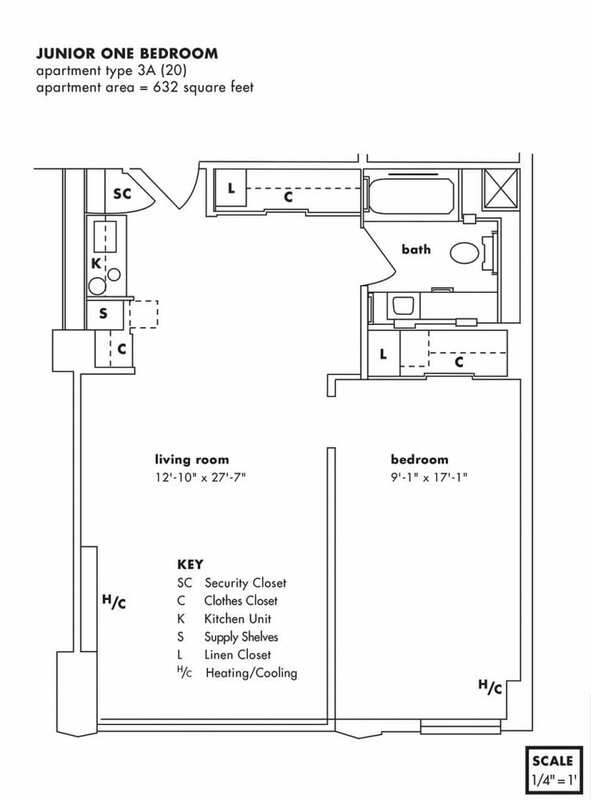 Two bathroom, one bedroom apartments are also available. Our two bedroom floor plans feature an open concept kitchen and living room, two bathrooms, one master bedroom and two private balconies – one off of each bedroom.